Sammy Duncan’s practice focuses on all things criminal law. Sammy most enjoys being in trial, presenting her case in front of a jury. She takes great joy in meeting new clients and getting to know their stories. 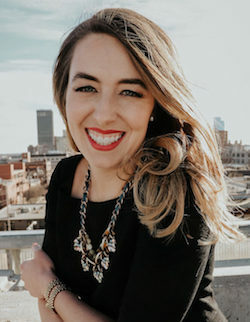 Sammy worked for over two years at the Oklahoma County Public Defender’s Office, handling every type of case, including trials for Murder in the First Degree, Drug Trafficking, Armed Robbery, and Human Trafficking. She knows that every case is different and treats each client with the individual attention they deserve. Sammy received her law degree from the University of Oklahoma School of Law and Bachelor of Arts from Texas Christian University. She is a member of the Oklahoma Bar, the Oklahoma County Criminal Defense Association, and Oklahoma Criminal Defense Lawyer’s Association.